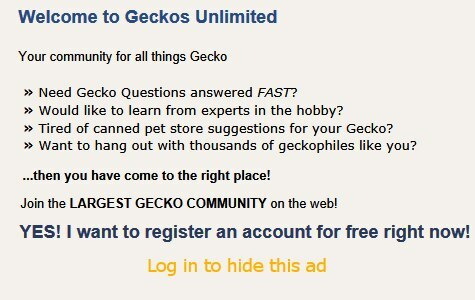 Thread: New day geckos - some help please! Last Thursday I got in a (supposedly) 1.1 pair of P. lineata bombetokensis (CB1 . Thus far they have taken fruit flies and licked a jelly pot (only a treat - I need the pot) but have refused calci worms, Arcadia StickyFootGold, Arcadia ReptiGold, and Arcadia FruitBuzz jelly. For some reason my own fruit fly cultures that I have attempted to establish haven’t really done anything in over a fortnight, but I don’t know why: I’m using a homemade culture mix with mainly potato flakes, and I’m wondering if that could be the cause of my problems? Anyway, I’m wondering if there’s anything else that they will take; could I try them with honey? I think I see a couple eggs. Those eggs need to develop prior to laying. After you drag photos into the post box click both buttons on the right: "Insert Inline" and then click "Done". What substrate do your Phoenix worms come in? Do you know about rinsing them prior to feeding to improve their taste? Are those Arcadia foods complete powdered diets? Last edited by Elizabeth Freer; 04-06-2019 at 05:25 PM. The calcis come in soil - my leopard gecko hates them and I hadn’t heard/thought of that trick, so I’ll give it a go - do I just rinse them in water? As you can see, SFG is a complete diet whereas the other things I mentioned are purely dietary additions (but “healthy” ones, so to speak). My crestie loves them, although it took him a very long time to try them! I have Repashy CGD and Mango Superblend yet to try with them. My crested gecko eats Pangea's complete diets. Last edited by Elizabeth Freer; 04-06-2019 at 01:48 PM. Awesome, I’ll try that! Mine all look “dead” at the moment, but I know that day geckos are supposed to love the flies, so I’m keeping them to see if the lineata will take them - the only setback I can see is that the flies might be too big! I’m still not sure why my fruit fly cultures aren’t producing, so I’m going to try and set up another in the morning. How do you set yours up? In the past I've only bred drosophila in medium that's already blended by a breeder and ready to add water. Maybe there's a good recipe online for drosophila medium. I’ve started a new culture today, this time with more vinegar (I was getting a tiny bit of mold), less overall fluid (I think my first try was too wet), and with some micro fish pellets (to replace the spirulina). I’ll post in a week or so to say how it’s doing. I saw the male eating the FruitBuzz jelly pot today, which was good! Hopefully the female will try it too. Okay, so time for an update. I kept my “wet” cultures just in case, and they’re FULL of maggots! I just don’t know how on Earth I’ll get the flies out though; the medium will come out with them if I tip it up. The new culture looks a lot better - no maggots yet, but no mould either and the flies are more active. Hopefully I’ll get maggots soon. Also, I’ve found that the lined day geckos love Repashy without any water added to it - the female likes MangoSuperblend and the male the standard CGD. For some reason they’ve suddenly become very timid over the past two days, and I don’t know why. Maybe they’re having a belated shock of being in a new environment, but either way, I’ll keep my eye on them.